*Disclaimer: Please take into consideration that the Recondition Your Batteries™ results may vary due to differences in a battery's condition, history, and other factors. 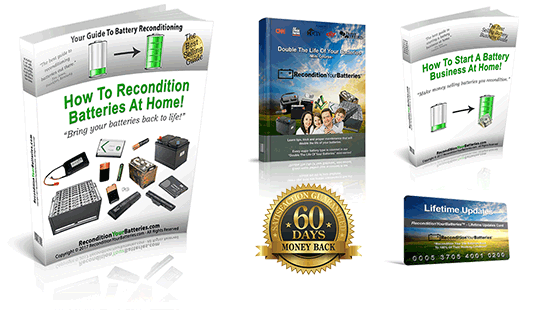 The Recondition Your Batteries™ course is the easy to follow, step-by-step system to recondition all kinds of old batteries with just simple supplies you probably already have in your home. 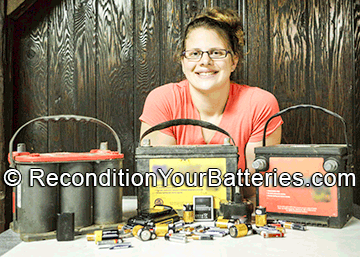 *Disclaimer: Please take into consideration that the Recondition Your Batteries results may vary due to differences in a battery's condition, history, and other factors. 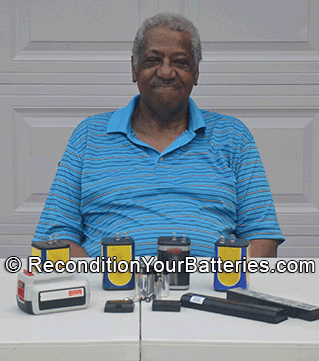 How to get old batteries for free! 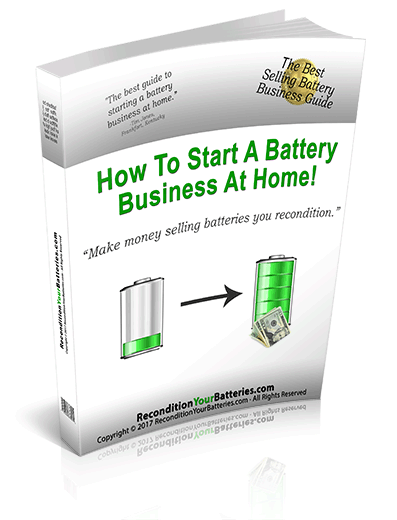 Follow this simple method and you will be able to get all of the old batteries you want for free. You can then recondition these and have like-new batteries ...for free! 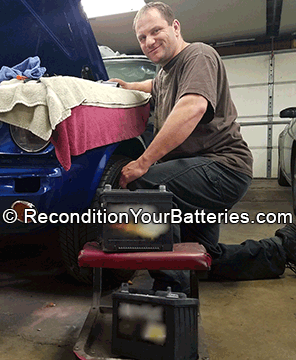 Learn the #1 mistake most people make when reconditioning car batteries! 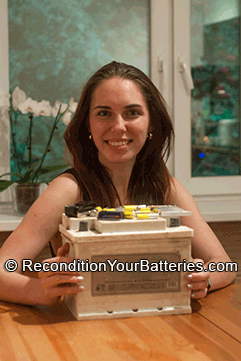 This mistake is very easy to avoid but most people have no clue about this when reconditioning car batteries! *Testimonial Disclaimer: The testimonial above is real and was written by a person who actually used Recondition Your Batteries. Please take into consideration that this testimonial does not necessarily represent typical results and is based on the user's opinion. Results may vary due to differences in a battery's condition, history, and other factors. 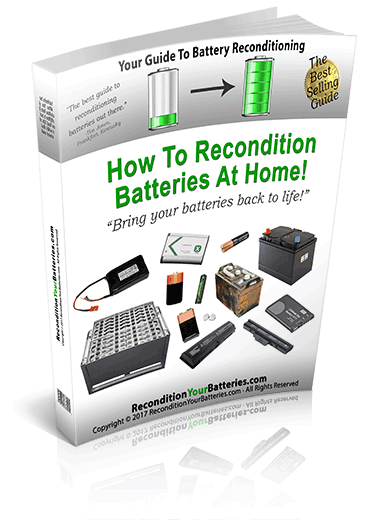 "I've reconditioned 17 batteries with Recondition Your Batteries"
...And once your batteries do eventually get older, you can then recondition them back to a better working condition with the Recondition Your Batteries™ guides. 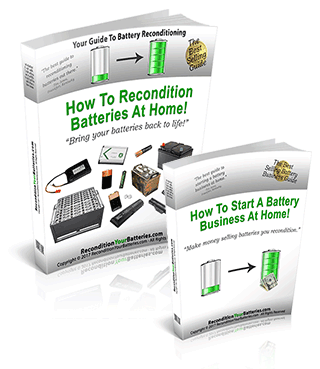 Then on the next page you’ll gain INSTANT access to the entire Recondition Your Batteries™ course – the step-by-step battery restoration guides …and Frank’s battery business guide. 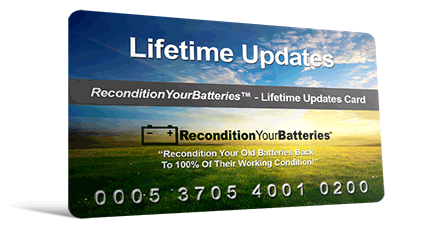 Within 20 seconds you can gain instant access to the entire Recondition Your Batteries™ program. 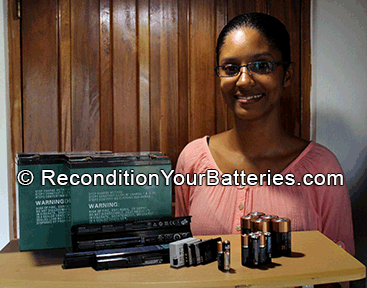 This will make up for your tiny investment into the Recondition Your Batteries™ course already. 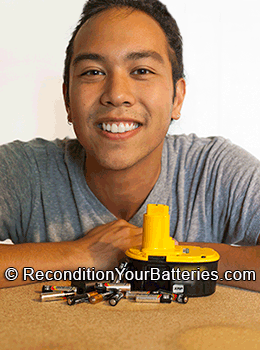 And then you can continue using the Recondition Your Batteries™ course over and over again, every time one of your batteries gets old or you need a new battery. 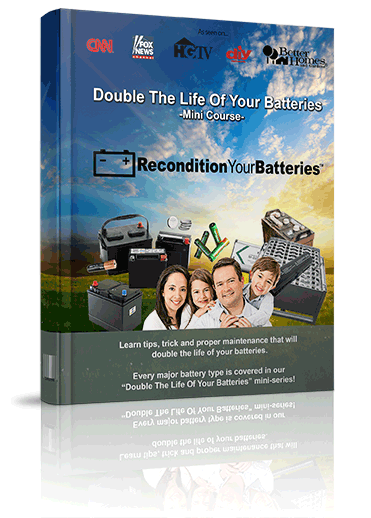 Another perk of the Recondition Your Batteries™ program is that you get free lifetime updates and new battery reconditioning guides every time we release a new guide. 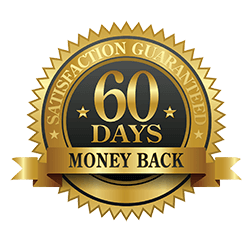 And remember, your payment is not only protected by Clickbank, you also get our 60 Day, Money Back Guarantee so you can try the Recondition Your Batteries™ program with absolutely NO risk whatsoever today!